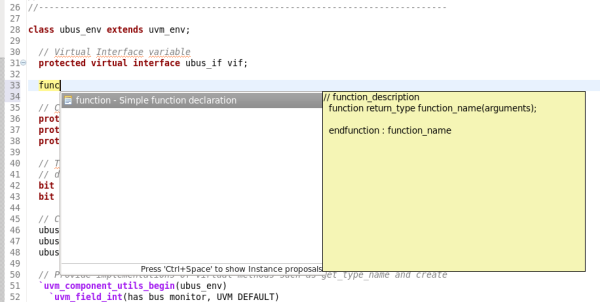 When you trigger autocomplete using Ctrl+Space, template suggestions may appear in the proposal list. 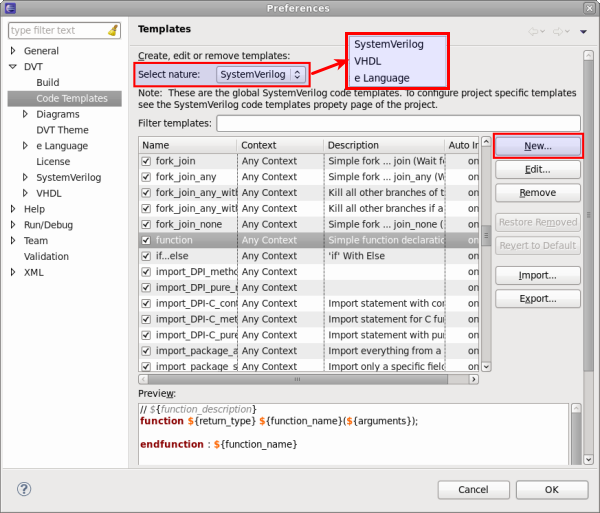 To define templates go to the DVT > Code Templates preference page (via menu Window > Preferences) and select SystemVerilog from Select Nature:. Click the New button to define a new template. The template name is important for proposal filtering based on already typed text.